Hospice workers: Lara Good, Carol Raye and registered nurse Lyn Hay. Two weeks ago a 42-year-old woman passed away at Katie Rose Cottage Hospice surrounded by her family. The woman who had breast cancer spent two weeks at the hospice and touched the hearts of everyone there. She was able to watch her children swim in the pool beside her room and while there her daughter turned 21. “She was perplexed that her daughter’s memories of her 21st wouldn’t be good under the circumstances,“ director Carol Raye said. But volunteers at the hospice rallied together and threw a surprise 21st birthday party for the young woman. Her mother was able to come out of her room to celebrate and her dog came in for the day. “There were lots of tears but lots of laughter and joy,“ Carol said. It is instances like this that are the essence of the care provided free of charge at the hospice to people nearing the end of their lives.Despite it opening only a few months ago the is already proving its worth in the community which worked so hard to deliver and the heartfelt stories from guests and their families are growing. A few months back two husbands, one in his 40s and another in his 70s found themselves on similar journeys as their wives were guests of the hospice until they passed away. The men formed a bond, Carol said. In another instance a daughter who had been caring for her mother at home got to a point where she couldn’t cope at home, but has been able to stay in an adjoining room with her mother at the hospice. “The relief she feels to have all this support has taken a weight off her shoulders,“ the woman told counsellors at the hospice. SInce it opened as a 24 hour palliative care facility last September the hospice has had 16 guests stay and pass away and there are people on the waiting list. The service was established through numerous generous donations from the community that wanted the service it offered. Carol is calling on the community to help it continue by assisting with the ongoing costs of more than $500,000 a year to employ its team of registered nurses who are specially trained in palliative care. 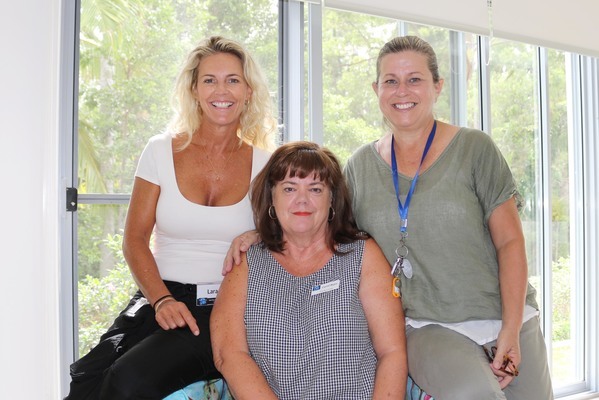 The hospice aims to enlist the help of 1500 people on the Sunshine Coast to donate just $1 a day or $30 per month to the registered charity to cover these expenses.